Right now, hotel workers are on strike in nine cities (including Chicago, where 24 of the 26 hotel strikes have resulted in ratified contracts). Seven of the cities are specific to the Marriott chain, which now also includes Starwood properties such as Sheraton and Westin. These strikes had different start dates, but as of this week, there is a strike underway at hotels in BOS, DTW, HNL, OAK, SAN, SFO, SJC, and OGG. Specific hotels can be confirmed at: marriotttravelalert.org/at-risk-hotels. Some of our contracts include hotel language specific to labor disputes. Check with your Local Council if you have concerns about specific layover hotels. 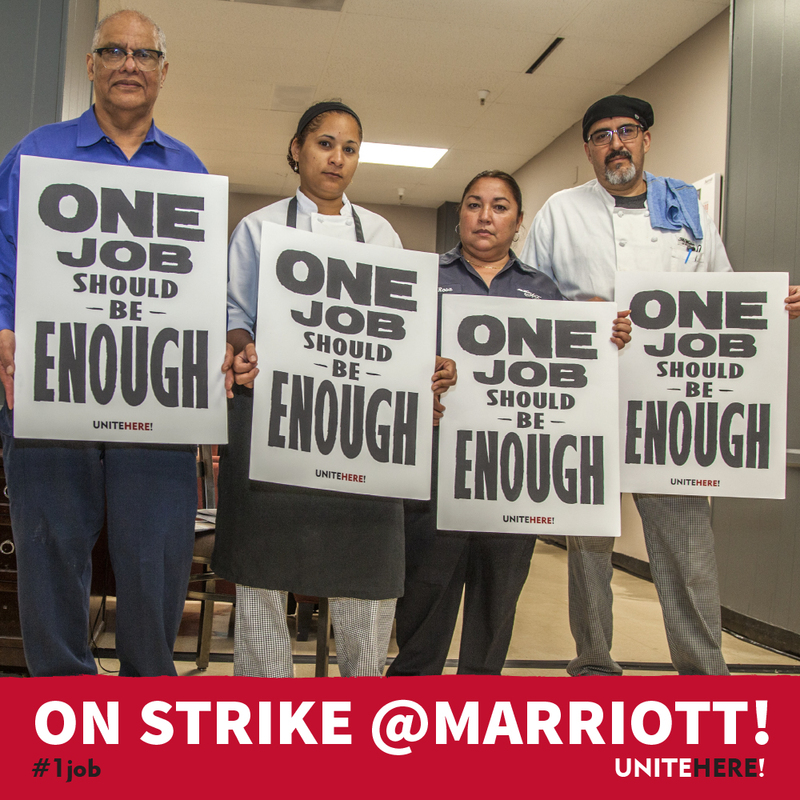 Visit marriotttravelalert.org for the latest information on the strike and find out where you can join a picket line.